Have you tried acquiring a property in Lekki lately? 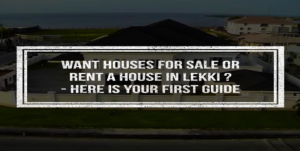 Then you will agree with me that houses for sale or rent in Lekki cost quite a fortune. Many people are familiar with how expensive it is to buy or rent a house in Lekki. However only a few know the origin of this region, now recognized as the pride of Nigeria infrastructure and real estate development. Before The construction of the Lekki-Epe expressway between 1979-1984, the area was mostly a dense forest that no human would like to live in. The construction of the road ushered in the current development that saw many real estate companies building magnificent estate and offering luxurious houses for sale in Lekki. In no time the Lekki Peninsula became flooded by a wave of new properties and some of the most expensive estates in Nigeria; with a high price tag on each of the houses. Many people who bought properties for just a few hundred naira now offer this houses for sale in millions of naira. Some of the most notable properties that offer luxurious and comfortable houses for sale or rent are situated in Lekki Phase 1, Lekki Phase 2, Chevron Estate, Victoria Garden City, etc. The fact remains that if comfort and luxury are what you seek for in a house, then Lekki should be your first consideration. Today it is an undisputed truth that whether you are a full-time worker, a business person or middle-class citizen in Nigeria, there is always a good number of new houses in Lagos that offer maximum luxury and comfort. Most of these highly priced houses offered for rent or sale are located in the Lekki Peninsula and other places on the Lagos Island. Lekki in Lagos state Nigeria is one of the high classed areas with choice houses for rent or sale. 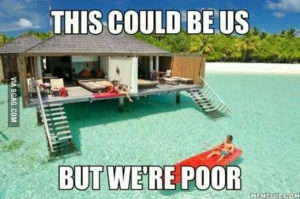 On an average, a two-bedroom flat in the Lekki would sell for about 10 million naira, and that’s even on the low side. A high standard three bedroom flat in Lekki would sell for over 20 million. 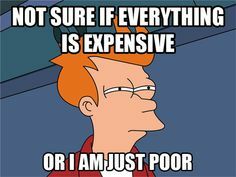 Renting a house in Lekki is not so cheap either; they go as high as 1.5 to 2 million naira per annum. So if all you have is say, five hundred thousand naira, you’ll have to settle for a single room self-contain or a boy’s quarter. Visitors Also Read : To buy a belonging and Hire OR Buy and Sell? Despite the high cost associated with most of the houses in Lekki, the area has continued to attract a lot of rich and wealthy Nigerians, mainly because of the luxury and comfort these houses offer. As a result there is never a shortage of real estate companies, constructing new homes either for rent or sale. The current trend in Lekki is the construction of large estates containing different capacities of houses. These estates are a hot cake because of the comfort and luxury they provide. Selling of houses or rent in Lekki would continually be an increasingly high price, considering that Lekki is undoubtedly one of the industrial cities in Lagos offering the best social amenities and infrastructure. Also, the demand for houses for sale is higher than the supply. More constructions are still going on, and new estates are emerging, it is very unlikely that this trend will stop anytime soon.